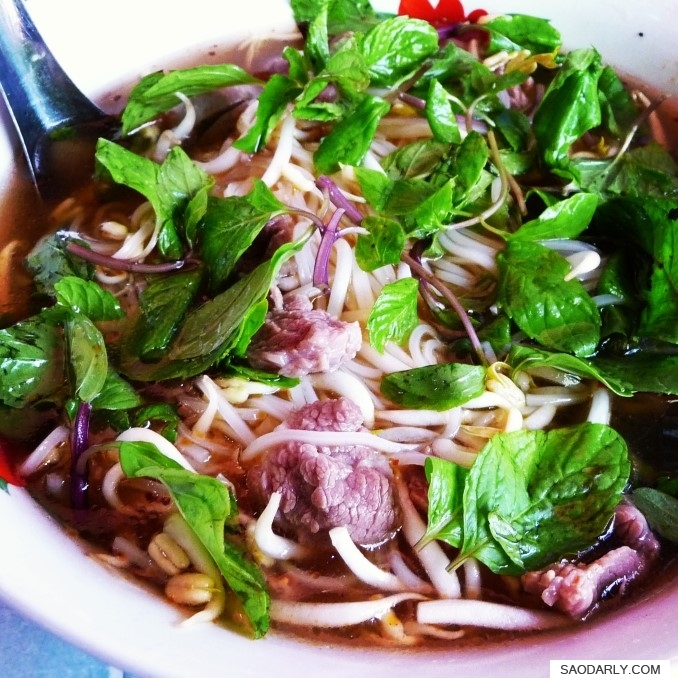 Feu Noodle Soup for breakfast in Vientiane, Laos. My two aunts didn’t feel like making breakfast this morning. 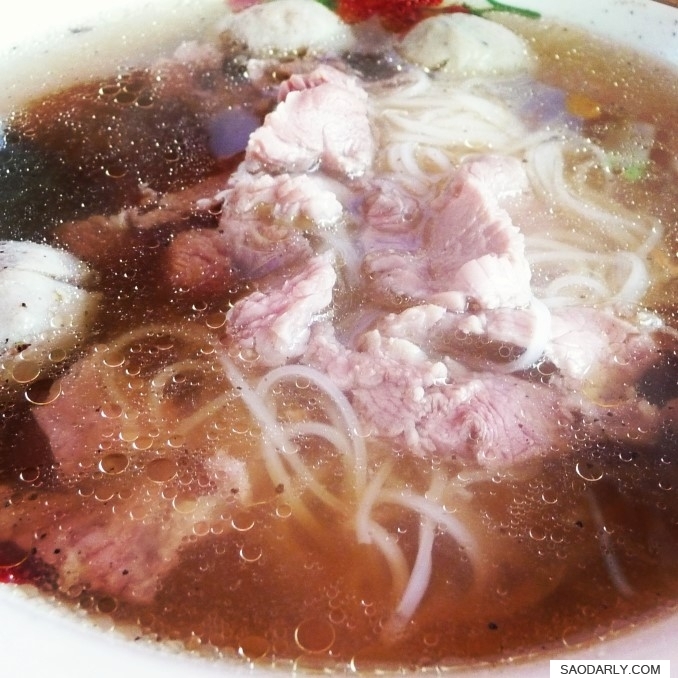 We decided to treat ourselves to noodle soup for breakfast at one of the noodle soup restaurant in Vientiane, Laos. 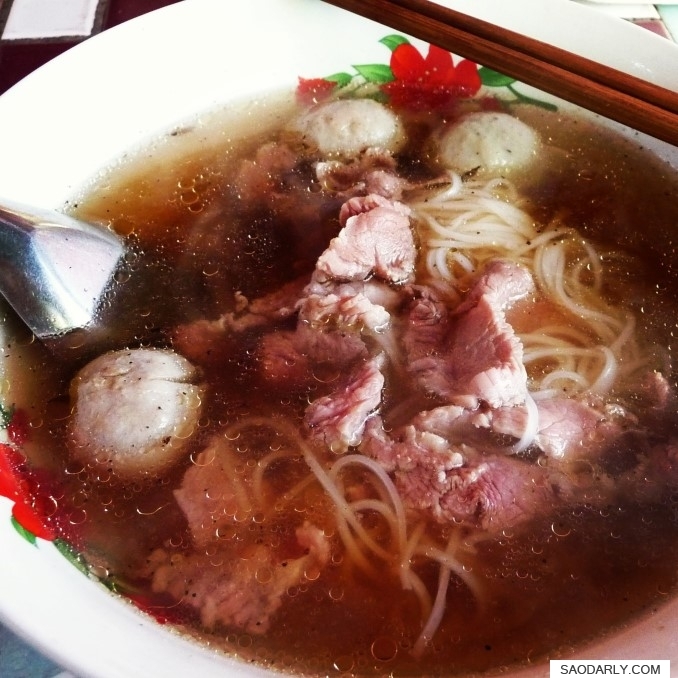 I didn’t pay attention to the name of the restaurant and ordered myself a big bowl of beef noodle soup with beef meatballs. The price of the soup was between 10,000 Kip to 15,000 Kip, depending on the size of the bowl.